Japan’s ski resorts are known for their excellent powder and gorgeous mountain scenery. There are more than 500 resorts of varying size found across the country, many of which are typically overlooked by international tourists. Aside from top-quality snow, many ski resorts in Japan double as relaxing hot-spring resorts, as well as offering a variety of other winter activities and festivities. Here are some of the best places for skiing and snowboarding in Japan. Appi Kogen’s carefully groomed runs cater to an upmarket crowd. The resort encompasses 45.1 kilometers (28 miles) of pistes, most of which are found along the slopes of Mount Maemori along with two nearby on Mount Nishimori. The resort is known for its wide, long runs, with more than half stretching for longer than 2 km (1.2 miles). Although there’s no village or town around Appi, it offers the chance to visit an authentically Japanese resort with few international tourists. There’s also a family park with mini-courses, sledding, and snow tubes for children. The resort is located in Iwate Prefecture in the Appi Highlands, 50 km (31 miles) north of Morioka and 580 km (360 miles) north of Tokyo. 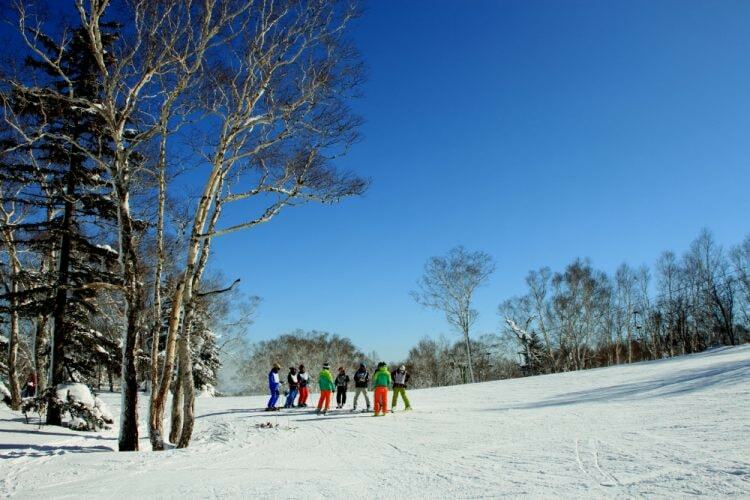 Asahidake is an excellent spot for advanced skiers and boarders, offering a variety of alpine terrain and tree skiing. The back-country slopes are set in Daisetsuzan National Park on Mount Asahi in central Hokkaido, about 1 hour east of Asahikawa. Visitors have access to 500 vertical meters (1,640 feet) of terrain and four groomed trails. Asahidake is officially a national park rather than a resort, so facilities are quite limited, which is part of the area’s appeal for skiers and boarders looking to escape the crowds and take on a challenge. The area also features a handful of cross country ski trails, and a number of the hotels have onsens (hot springs). Furano is a popular ski resort in Hokkaido with 25 km (15.5 miles) of groomed ski runs. The resort is ideal for families, with varied beginner trails in addition to an attraction called Family Snowland, which offers other winter activities like snowmobiling and dog sledding. On top of this, there are many runs to challenge advanced skiers. With a vertical drop of around 950 meters (3,117 feet), Furano is one of the steepest mountains in Hokkaido. 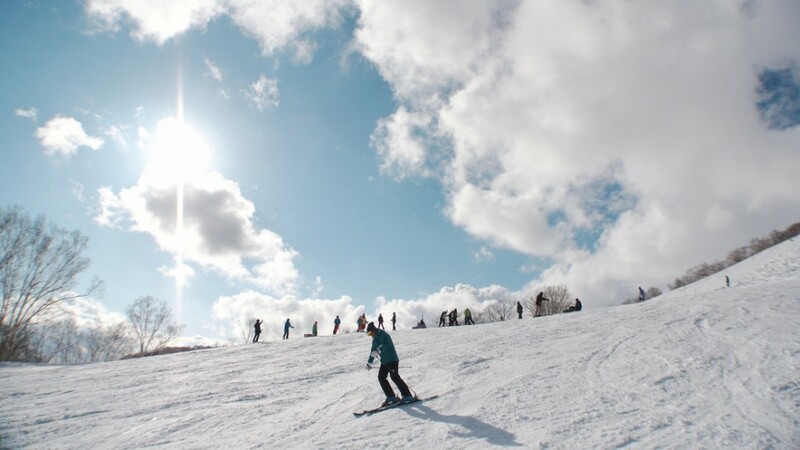 The ski area is made up two zones: the Kitanomine zone (open mid December to late March) and the Furano zone (open late November to early May), both of which are accessible from the town of Furano by shuttle. 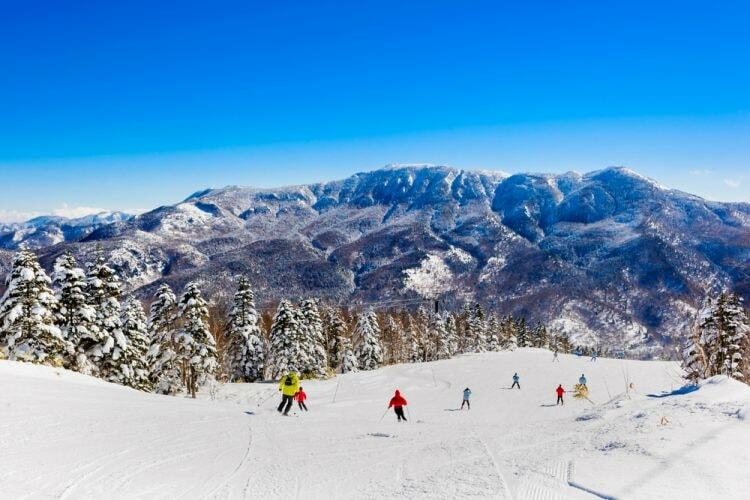 A favorite of international tourists, the Hakuba valley comprises 11 different ski resorts. 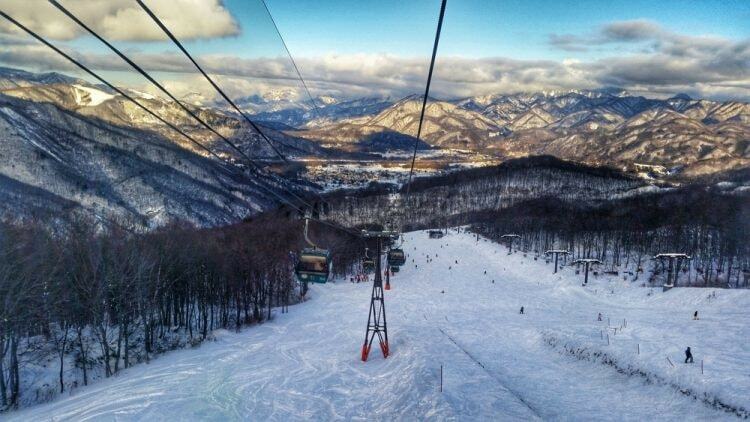 Bordered by 3,000-meter peaks, Hakuba is located the Northern Japan Alps, 44 km (27 miles) west of Nagano. The area gained international attention in 1998 when it hosted several competitions during the Winter Olympic Games. 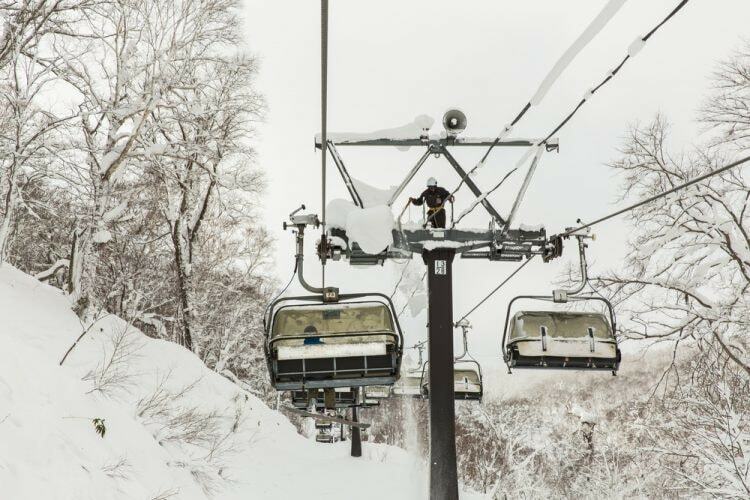 With 137 km (85 miles) of piste and more than 200 courses, Hakuba’s resorts offer incredible variety with runs suited to skiers and boarders of all levels. The main village, Happo, is home to some excellent izakayas and restaurants, or there are also quieter villages in the area for those who want to stay away from the crowds. Located 100 km (62 miles) southwest of Sapporo, Niseko is one of Japan’s most famous ski resorts. Niseko features 47 km (29 miles) of groomed terrain and is thought to receive more snowfall than any other ski resort in the world. The resort’s trails are ideal for skiers and boarders of all levels, with plenty of pistes geared towards families and beginners. The resort also offers extensive off-trail skiing, which can be accessed through special gates or by participating in a guided tour. Niseko is actually composed of 5 different resorts, the largest of which is the Grand Hirafu. Hirafu Town is known for its excellent après-ski, with many lively bars, restaurants, and karaoke spots. Nozawa Onsen is located in northern Nagano Prefecture, 46 km (28 miles) northeast of the city of Nagano. Opened in 1924, Nozawa Onsen is one of Japan’s oldest, largest, and most popular ski resorts. The resort features over 50 km (31 miles) of pistes, ideal for skiers and boarders of all levels, including a half pipe, moguls, a 39 degree incline, as well as gentler slopes for beginners. The resort is also ideal for families, with English-speaking instructors available for children’s ski lessons. Nozawa Onsen town is particularly charming and traditional, with narrow cobbled streets and more than 13 public onsens. 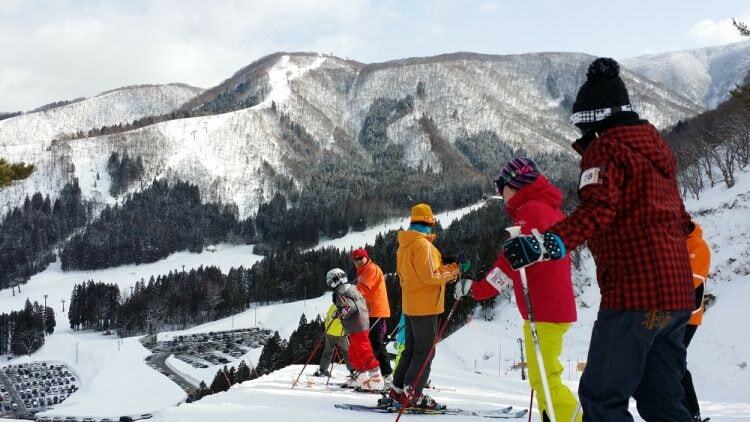 Offering 42 km (29 miles) of groomed slopes, Rusutsu is one of the top ski resorts in Hokkaido. The ski area is spread across three mountains, offering a variety of groomed trails for beginners. The highlight for advanced skiers is the resort’s convenient tree runs and back country, which are accessible straight off the lifts. The hotels in the area offer a great selection of restaurants, plus there are a few smaller restaurants found near the base of the mountain. Kids can enjoy dog sledding, tubing, and snowmobiling, while the resort is also home to pool facilities and onsen. Rusutsu is located 90 minutes southwest of Sapporo. Sapporo Teine is ideal for day trips from Sapporo, located 20 km (12 miles) northwest of the city center. The resort attracts novices with its Olympia Zone, which offers wide, gentle slopes for beginners and night skiing. For more advanced skiers, there’s the Highland Zone, which includes medium-to-advanced courses, and off-trail runs. Set 1,000 meters (3,281 feet) above sea level, this upper area provides visitors with fantastic views over Sapporo and the ocean. The resort also includes a snow park with boxes, jumps, and rails, as well as a family park with tubing and sledding. 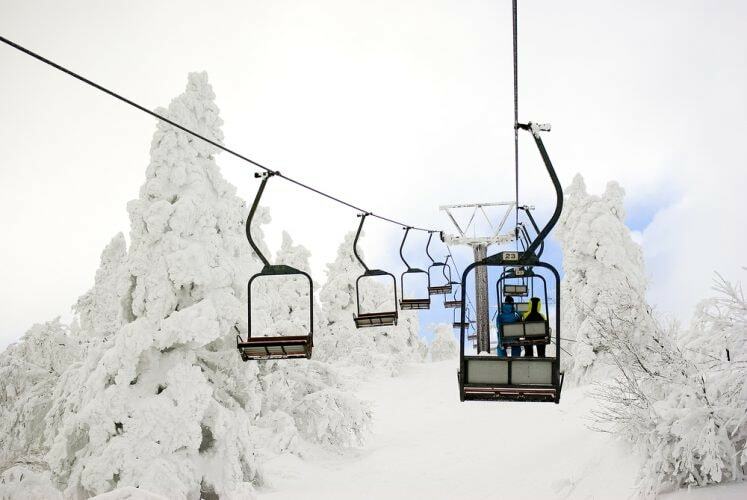 Tomamu is an upscale ski resorted located in central Hokkaido, 150 km (93 miles) east of Sapporo. This modern, swanky resort includes a 50-meter wave pool, sophisticated restaurants, and sleek hot-spring facilities. 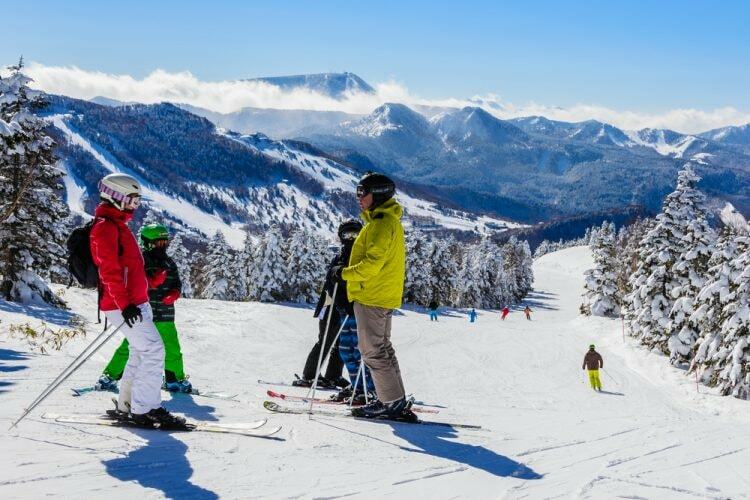 The resort offers 21 km (13 miles) of slopes, with a variety of runs for beginner and intermediate level skiers, along with ‘expert’ courses and sanctioned off-piste skiing areas. Other activities include cross country skiing, snowmobiling, snow rafting, and heli skiing. For kids, there’s a snow playground, snow boat rides, and a special snow playground. In the evening, check out the resort’s Ice Village, which consists of a restaurant, bar, shop, and wedding chapel housed in domes made of snow and ice. 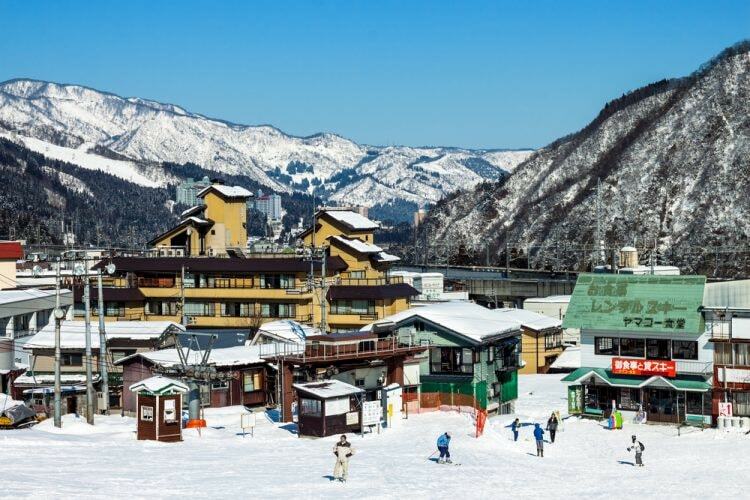 Yuzawa is one the easiest ski areas to access from Tokyo, located 200 km (124 miles) away from the city and reachable in less two hours by train. Located in Niigata Prefecture, the area encompasses about 20 resorts, all of which are accessible by public transportation. A number of these resorts offer combination lift tickets, and connections that make it possible to ski or snowboard between them. 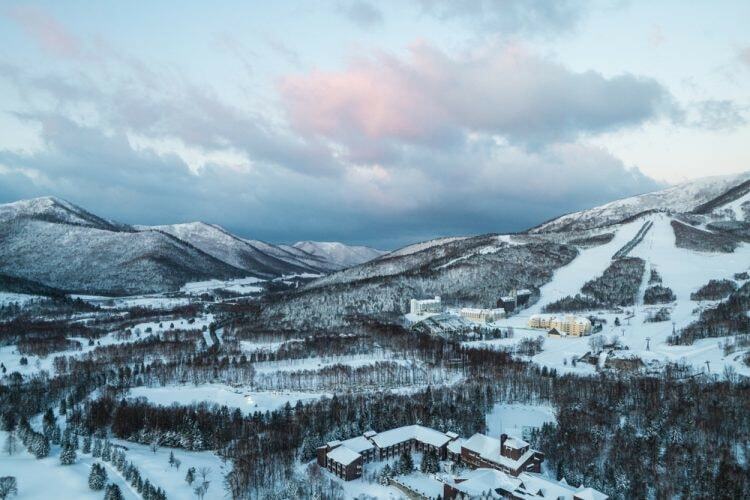 Visitors will generally find beginner slopes near the center of town and more challenging runs around the Mount Naeba resorts. The area also features excellent onsens, with baths available at resorts, hotels, and shinkansen stations.